Bridges, also referred to as fixed partial dentures, are custom-made, natural-looking	and semi-permanent dental appliances used to replace missing teeth. They	are made of porcelain, gold alloys, or combinations of materials and are	attached to the bone or an area below gum tissue. 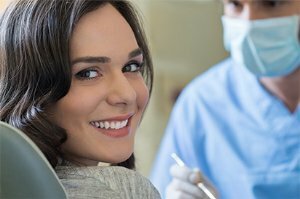 Crowns are synthetic porcelain caps that are placed on top of a tooth to	restore its appearance and/or function after a procedure such as a root	canal. They are also used to attach bridges, prevent a cracked tooth from	further damage, or to restore a discolored tooth. A crown can last for	almost a decade if it is cared for well. To schedule a consultation appointment to learn more about crowns and bridges,	call our Pasadena dentist	at (410) 437-5900.